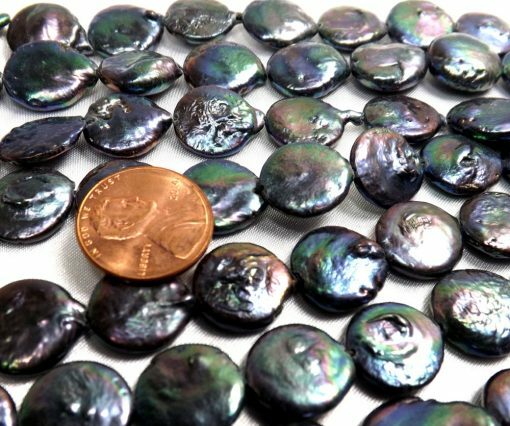 These are beautiful peacock black colored round coin pearls with high luster at a size approximately 13-14mm. They might not have uniformed shape or perfect smooth surface at AA- grade, as the picture shows. 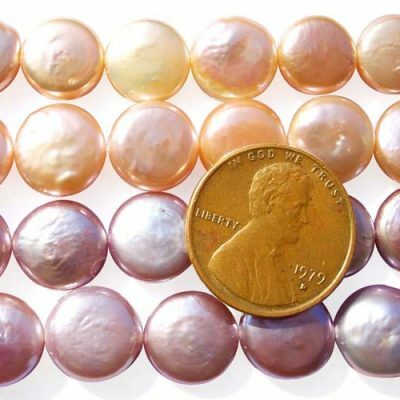 But you are guaranteed to be amazed by their beautiful peacok multi-color with hgih luster. 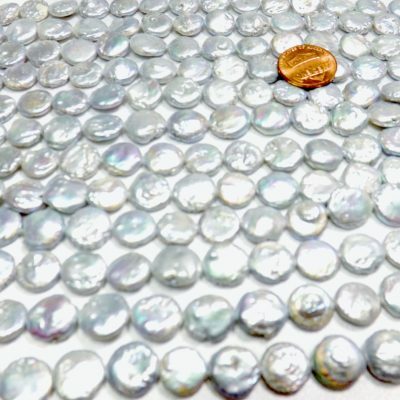 And for a jewelry designer who is looking for that natural looking of the pearls with stunning and hard-to-find color with beautiful luster, they will be unbelievable. 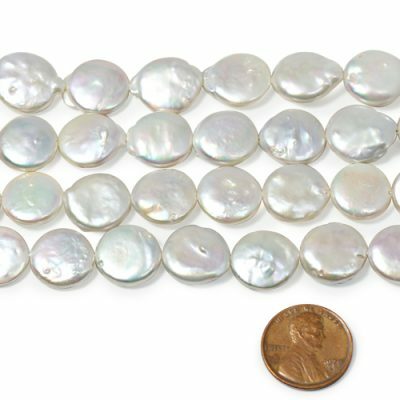 There are 29 pearls on each strand at approximately 15.5″ long.